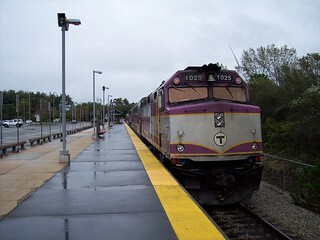 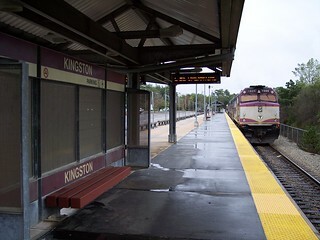 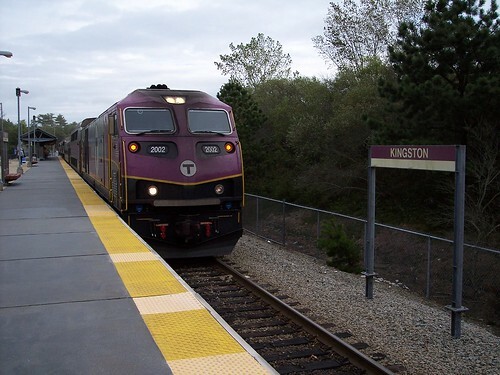 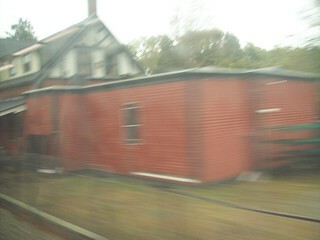 Our train at the MBTA Kingston station. 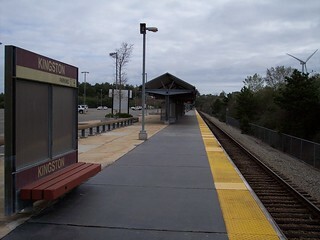 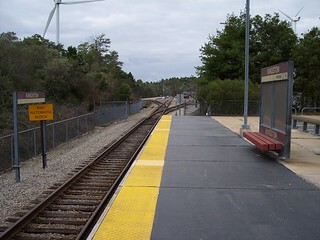 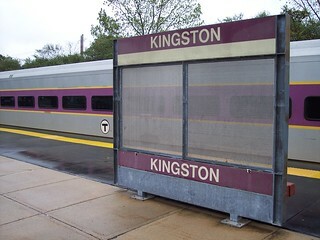 The current station sits at the end of a spur south of Kingston. 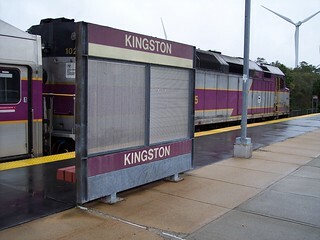 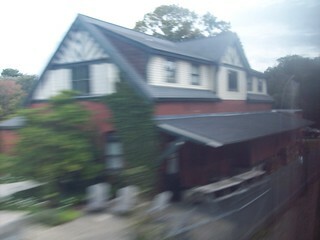 The former Kingston station is now a restaurant and is located in town.